Check your email for your free Online Vision Test voucher code! You also qualify for the follow Contact Lens brands! Would you like to switch? Before we continue, we need to ask you a few questions to see if you qualify for the online vision test. Please enter your voucher code to continue. I don't know my glasses prescription. I don't wear lenses in this eye. Good news, you qualify for the Online Vision Test. Please enter the information below to get started with the testing process. Purchase a Vision Test Voucher from one of our Partners below! Get a free vision test! Subscribe to our mail list and get a free online vision test! Why go to the eye doctor's office? 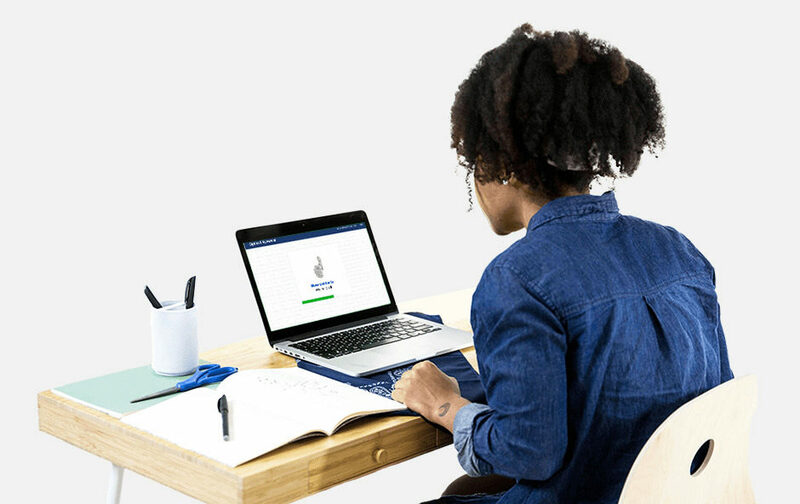 Renew your contact lens and eyeglasses prescription at home with the official Online Vision Test. 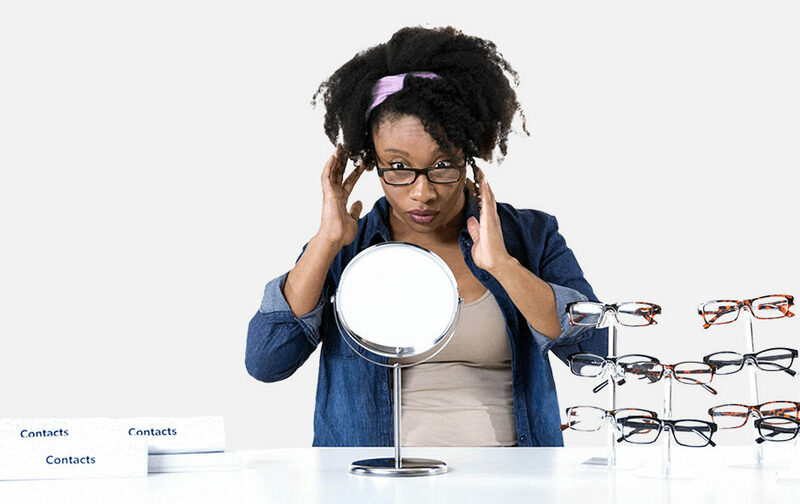 We'll give you a reliable and certified online eye test to get an officially signed, renewed prescription from a real eye doctor within 24 hours. Skip the trip to the doctor's office and take our test in 15 minutes or less -- from the comfort of your home! Take the Online Vision Test. You'll tell us what you see on your computer screen while using your mobile phone as a remote control. You won't have to download any apps. Stepping away from your computer lets us measure your distance vision. You'll be asked to stand about 10 feet away from your screen. Your previous eye prescription is required. Our doctors will need to use it to ensure your new Rx is clear, correct and comfortable. After taking our eye test online, you'll get an official, signed Rx to buy contacts or glasses. The Rx is then valid for 1 or 2 years depending on your state. Simple instructions will guide you through each step. We'll show you how to set up your room, how far to stand from your computer screen and why we need certain info. We find out what you can and cannot see with a series of online tests. We gauge your distance vision, check color vision, and look for any astigmatisms. An ophthalmologist licensed in your state will evaluate your results and previous Rx. They'll then write and officially sign your new vision prescription. 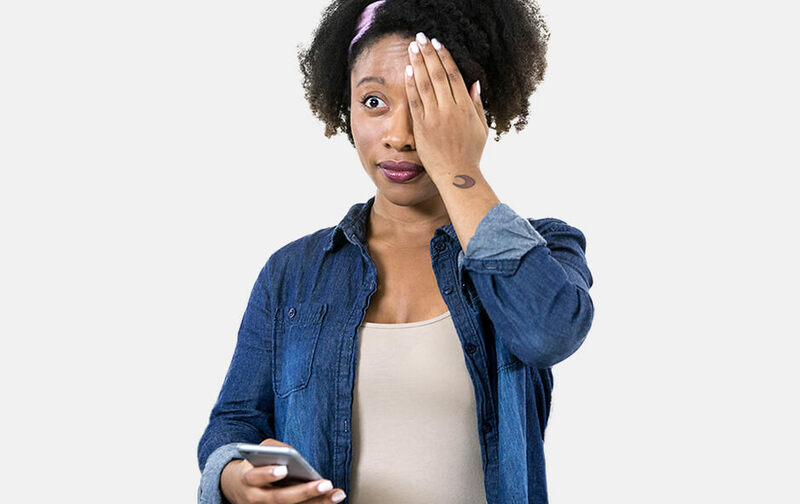 Use your new eye prescription to order contacts or eyeglasses anywhere. You can download, print or access your Rx at anytime whenever you need it. Your satisfaction is our top priority. We guarantee our online vision testing to be 100% precise for your Rx. If it's not, you can take the test again for free as many times as you like. And if you're not 100% satisfied with our eye testing for any reason, we'll gladly give you a full refund. Our live customer service team is always ready to help you if you're having any problems with our test. We check for many things that can affect your vision or the health of your eyes. You may or may not qualify for an Online Vision Test prescription because of your location, age or health condition. Q. How old do I have to be? You must be between 18 and 55 years old. Q. Do I have to be healthy? Your eyes must be healthy and you can't have any medical conditions that impact your vision. You can't use Online Vision Test if you have had diabetes. Q. Do I need a prior Rx from an eye doctor? Yes. If you don't know your Rx, we can get a copy from your last doctor. But this might cause delays in getting your online prescription. Q. Will it work for my vision? We only provide prescriptions between -10.00 and +3.50 in spherical strength (SPH), -0.25 and -3.00 in cylinder power (CYL) and +0.25 and +4.00 in add power (ADD). Your previous prescription is required for all new contacts and most glasses prescriptions. Q. Can I use this for my State? Our service is available in the following 34 states: Alaska, Alabama, California, Colorado, Connecticut, Florida, Illinois, Iowa, Kentucky, Massachusetts, Minnesota, Mississippi, Missouri, Montana, Nebraska, Nevada, New York, New Hampshire, New Mexico, North Carolina, North Dakota, Ohio, Oregon, Pennsylvania, Rhode Island, South Dakota, Tennessee, Texas, Utah, Vermont, Virginia, Washington, Wisconsin, and Wyoming. We have a live customer service team on standby to help you. If you're having problems with the test, or if you have any questions, please feel free to contact us. Helping the World See Better. OnlineVisionTest.com is not a replacement for a comprehensive eye health examination. Our licensed Ophthalmologists use OnlineVisionTest.com's on-line technology to evaluate a patient's visual acuity and a portion of the ocular health profile, diagnose refractive error, and issue a prescription for corrective eyewear, where clinically appropriate. Please continue to get regular ocular health eye exams performed by your eye care provider.